Cadillac is reportedly planning on using an aluminum body for the company’s upcoming CT6 flagship, a move that would make the vehicle one of the lightest in the luxury segment. The move to aluminum body panels will undoubtedly lower fuel costs while also improving handling. 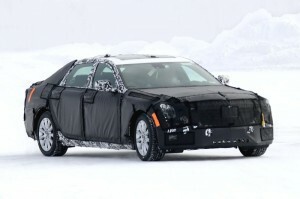 Not many details are known at the moment, but Automobile Magazine believes going aluminum will put the Cadillac CT6 in competition with not only flagship sedans, but also with four-door coupes such as the Mercedes CLS and the BMW 6-Series Gran Coupe. It remains to be seen whether BMW’s 7 Series featuring carbon fiber will outperform all the new vehicles going aluminum, including the Cadillac CT6.